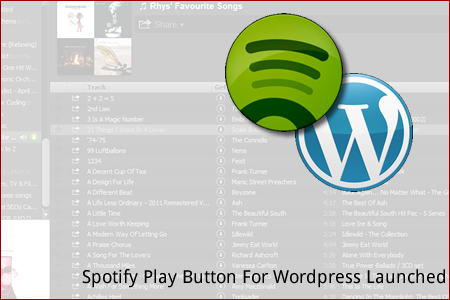 Spotify Play Button For WordPress Released! I am delighted to announce the launch of Spotify Play Button for WordPress! Recently, Spotify launched their Spotify Play Features, which are lovely, and you can add Spotify music to your site. As a heavy user of Spotify, I’d love to see how it worked for my WordPress-run sites. As such, I knocked together this plugin called Spotify Play Button for WordPress. It’s free (donations appreciated), and supported (email me). Read more about Spotify Play Button for WordPress Here or download by clicking the link below. Receive Exclusive content every week from The Blogging Dojo. Simply sign up to our free of cost, free of spam, Blogging Dojo newsletter! © 2019 Blogging Dojo. All Rights Reserved.